This article was last updated Dec 12, 2018, but some terms and conditions may have changed or are no longer available. For the most accurate and up to date information please consult the terms and conditions found on the issuer website. 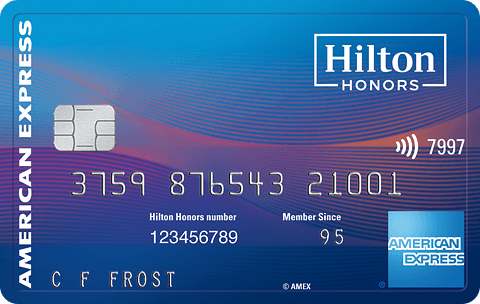 Savvy travelers who belong to the Hilton Honors loyalty program can pair it with the hotel chain’s credit card to maximize the number points they earn and redeem. One card to consider is the Hilton Honors American Express Ascend Card. Hilton’s 15 brands — including Conrad Hotels, Doubletree, Hilton Garden Inn, Curio Collection by Hilton™ and Hampton by Hilton — cover more than 5,500 hotels in 109 countries and territories. Being an Honors member gives cardholders plenty of opportunities to earn and redeem points in popular categories such as restaurants, supermarkets and gas stations. 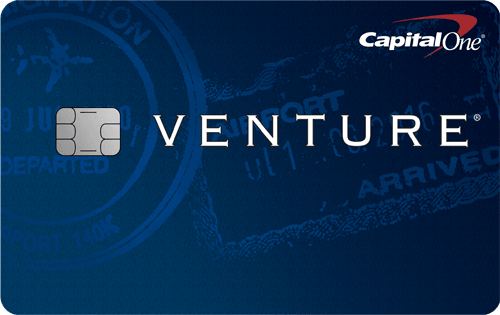 It also comes with the perks you’d expect with an American Express-branded card. But if you don’t want to be tied down to one hotel brand and want to get more value on the points you earn, then the Chase Sapphire Preferred® Card could be a good alternative. We’ll walk you through the pros and cons of both cards so you can choose the one that fits best. Generous welcome offer. Cardmembers earn 125,000 Hilton Honors Bonus Points with the Hilton Honors American Express Ascend Card after you use your new Card to make $2,000 in eligible purchase within the first 3 months of Card Membership. Just how valuable is that offer? It’s enough to book two nights in a king room at San Francisco’s Parc 55 hotel from March 1-3, 2019, at 46,000 points a night, for example. Higher rewards in top categories. Earn 12X Hilton Honors Bonus Points for each dollar of eligible purchases charged on your Card directly with a hotel or resort within the Hilton Portfolio. Earn 6X Hilton Honors Bonus Points for each dollar of eligible purchases on your Card at U.S. restaurants, U.S. supermarkets, and U.S. gas stations. Earn 3X Hilton Honors Bonus Points for all other eligible purchases on your Card. It offers great points per $1 spent for hotel stays, and it’s also not bad for travel, dining, supermarkets and gas. Solid redemption options. Use your Hilton Honors points for purchases such as hotels, car rentals, cruises, shopping, dining, gift cards, donations and once-in-a-lifetime experiences, like a seat at the Chef’s Table at the Michelin-starred Gordon Ramsay au Trianon restaurant in Versailles, France. Transfer points for travel. You can move your Honors points to more than 40 airline and rail partners, although the value for those exchanges aren’t as good as redeeming for hotel stays. Status matters. The Hilton Honors American Express Ascend Card comes with automatic Hilton Honors gold status. It includes 80% tier bonus points per hotel stay, an automatic space-available room upgrade (up to an executive room), a guaranteed member discount, no resort fees on reward stays, early check-in and late check-out, fifth standard reward night free, free breakfast and two complimentary bottles of water daily. Travel and purchase perks. Enjoy benefits like free Priority Pass Select airport lounge membership, which comes with 10 passes a year, travel accident insurance, car rental loss and damage insurance, access to the Global Assist hotline, extended warranty, return and purchase protection and access to ticket presales and cardmember-only events. Payment flexibility. This credit card comes with a purchase rate of 17.99%-26.99% Variable APR. There’s the option of using the Pay It® feature on the American Express app where you can make small payments throughout the month on your balance. Under the Plan It® option, you can create up to 10 payment plans for purchases of $100 or more with only a fixed monthly fee. Pay the fee. If you want this card, you’ll pay a $95 annual fee. Room reward limits. While you do receive an annual reward night for your loyalty, you can only use it on weekends in a standard room — and you’ll have to spend $15,000 on the card to get it. Fewer travel transfer points. While you can transfer your Hilton Honors points to more than 40 airline and rail partners, you may get less value for them. For example, 10,000 Honors points only equal 1,000 United Airlines miles. You would need to transfer 100,000 points just to get the 10,000 United miles needed to book a one-way Saver fare for domestic U.S. flights 700 miles or less. Higher status costs. The card comes with gold Hilton Honors status. But if you want to move up to diamond, you’ll need to spend $40,000 annually on the card. Travel coverage perks are meh. Despite this being a travel card, it only offers travel accident insurance. Other hotel and non-hotel credit cards offer more robust benefits like trip delay/cancellation insurance and lost luggage coverage. If you don’t want to be tied to one hotel loyalty program, want more flexibility in earning and redeeming miles and get more value for the points you redeem for travel, including hotels, consider the Chase Sapphire Preferred® Card as an alternative to the Hilton Honors American Express Ascend Card. It has a $95 annual fee. 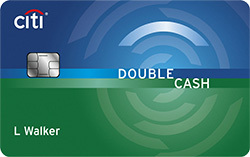 New cardmembers Earn 60,000 bonus points after you spend $4,000 on purchases in the first 3 months from account opening. Those points are valued at $750 if you redeem them on the Chase Ultimate Rewards® website. Earn 2X points on travel and dining at restaurants & 1 point per dollar spent on all other purchases worldwide. The Hilton Honors American Express Ascend Card offers better points per dollar spent in the top spending categories, but the Chase Sapphire Preferred® Card gives you 25% more value for the points you earn when you redeem them for travel at Chase Ultimate Rewards. And you can transfer your Chase points 1:1 to nine airline and three hotel loyalty programs via Chase Ultimate Rewards®, a much better value than the Hilton Honors American Express Ascend Card’s transfer program. The Chase Sapphire Preferred® Card also comes with much better travel and purchase perks than the Hilton Honors American Express Ascend Card, including trip cancellation/interruption insurance, baggage delay insurance, trip delay reimbursement, travel and emergency assistance, auto rental collision damage waiver, purchase and return protection and extended warranty; it doesn’t, however, come with access to an airport premium lounge like the Hilton Honors American Express Ascend Card. 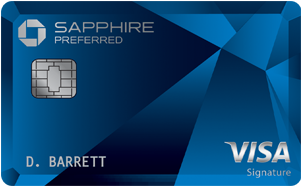 Check out our review of the Chase Sapphire Preferred® Card. Welcome offer/sign up Bonus 125,000 Hilton Honors Bonus Points with the Hilton Honors American Express Ascend Card after you use your new Card to make $2,000 in eligible purchase within the first 3 months of Card Membership. Earn 60,000 bonus points after you spend $4,000 on purchases in the first 3 months from account opening. It all comes down to what’s more important to you when it comes time to decide between the Hilton Honors American Express Ascend Card and the Chase Sapphire Preferred® Card. If you’re a Hilton Honors member, this card’s lucrative welcome offer, paired with among the highest points per dollar spent on hotels, dining, supermarkets and gas, can be attractive. Plus, it comes with gold status and some respectable travel and purchase perks. The card has good redemption options, but we don’t recommend moving your points to airline and rail loyalty programs because of its poor transfer values. The Chase Sapphire Preferred® Card does have lower points per dollar spent for travel when compared to the Hilton Honors American Express Ascend Card. But what the card does have is the chance to earn 25% more value when spending your points for travel when you use them on the Chase Ultimate Rewards website. And if you want to transfer your points to Chase’s nine airline and three hotel loyalty programs, you can do it at a 1:1 rate, a far better value than the Hilton Honors American Express Ascend Card. Check out our round-up of Best Hotel Credit Cards.